Patna, Apr 7 (ANI): A case has been lodged against Rashtriya Janata Dal (RJD) chief Lalu Prasad Yadav for making derogatory remarks against Bharatiya Janata Party (BJP) leader Varun Gandhi. The Kishanganj District administration filed its complaint against Lalu Yadav under the People's Representation Act this morning. Addressing an election meeting in Bihar's Kishanganj on Monday, Lalu Yadav had said, "Had I been the country's Home Minister, I would have crushed Varun Gandhi under a roller and destroyed him without caring for the consequences of his hate speech against Muslims." Varun Gandhi, who is a BJP candidate for the Pilibhit constituency in Uttar Pradesh was accused of making inflammatory communal remarks at an election meeting in his constituency on March 6. However, Gandhi maintains his innocence claiming that the CD containing his speech was tampered with. He is currently in Uttar Pradesh's Etah jail. 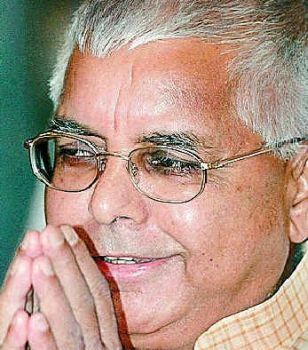 Meanwhile, the Janata Dal- United (JD-U) criticised Lalu Yadav for insulting Varun Gandhi.